When you work with Coast to Coast K9 Teams you’re choosing integrity in business; consistency of delivery; and excellence in quality and performance that comes with 25+ years of K9 detection training and handling experience. 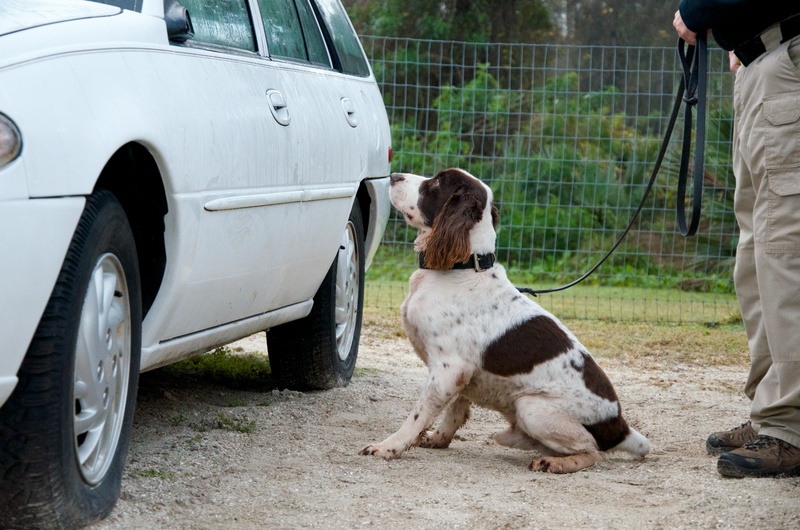 And the drug K9 Teams you’ll hire are certified annually by the National Narcotic Detector Dog Association; they participate in mandatory maintenance training at our facility as well as at various off-site locations. Our explosives detection K9 teams save lives and physical assets. Our drug detection K9 teams assist law enforcement and help eradicate addiction problems in society. Hire expert drug detection teams trained to detect drugs in a multitude of challenging environments. Our drug dogs are trained using use real drugs, not pseudo drug scents. Get a highly trained explosives detection K9 team. Our dogs are trained using actual explosives, in realistic scenarios, and can detect 15 different combinations of explosive materials. 10,000 sq. ft. indoor training facility, 6 acres dedicated to outdoor training exercise Full-time staff of 12 experienced K9 trainers, kennel staff and operations 80 working dogs housed at all times. Not sure which K9 detection service fits your needs? Our Client base extends across the globe. Coast to Coast K-9 is an excellent partner that helps Balearia Caribbean on a daily basis with the operations. Coast to Coast K9 Teams specializes in training high quality detection K9s—along with training and certifying the personnel who are teamed with these K9s—for immediate mobilization for public and private entities worldwide. We are one of the leading K9 service providers with a reputation for integrity in business, consistency in delivery and excellence in quality and performance. We work collaboratively with our clients and colleagues to create an atmosphere of mutual trust and respect, while maintaining our commitment to continuous improvement of our services. We provide a consistent and effective method for detecting concealed drugs, and explosives. Our 25+ years of experience in the K9 detection field means you can be confident of the superior ability and friendly professionalism that Coast to Coast K9 Teams offers. We have enjoyed working with and providing certified K9 teams that meet and exceed all Coast Guard requirements. With 14 years of canine maritime experience Coast to Coast K9 Teams provides K9 detection teams for several cruise lines, and has recently expanded services to include all ports of call in North America. Our daily rate secures our dedicated, professional K9 teams for provisions screening and any other detection needs you may have with no additional fees if the security level increases. How is the pricing for K9 services structured? Are your K9 teams certified? Copyright © 2017 Coast to Coast K9 Teams. All rights reserved.